Ben and Elliott were great in organizing, scheduling and executing our window cleaning. They sent their quote which was professional and reasonable in a timely manner. Returned emails promptly and Ben cleaned our windows on his own. He was extremely polite and friendly. We would recommend their services. They also have cleaned our eaves. Great job. Thanks! Ben (and his predecessor) and his team have been cleaning my windows and eaves for going on 10 years now and have always done a great job. They are timely, friendly and professional and their prices are very reasonable, especially when I book with a neighbour to have both houses done at the same time. Ben even offered to come by once when I had an emergency and couldn't get a window closed, although I ultimately managed to close it myself. I would highly recommend Paneless Perfection to anyone. Ben and team did a great job. I had some issues with some loose flashing as well which Ben took care of himself. His team came later and seemed to do an excellent job. I would definitely recommend this company to anyone who is interested in getting their windows cleaned. Ben and his crew were extremely professional and they came back to redo some windows and did not leave until I was completely happy. It was a pleasure dealing with them. I needed my eaves cleaned as I have 2 large maple trees on my property. 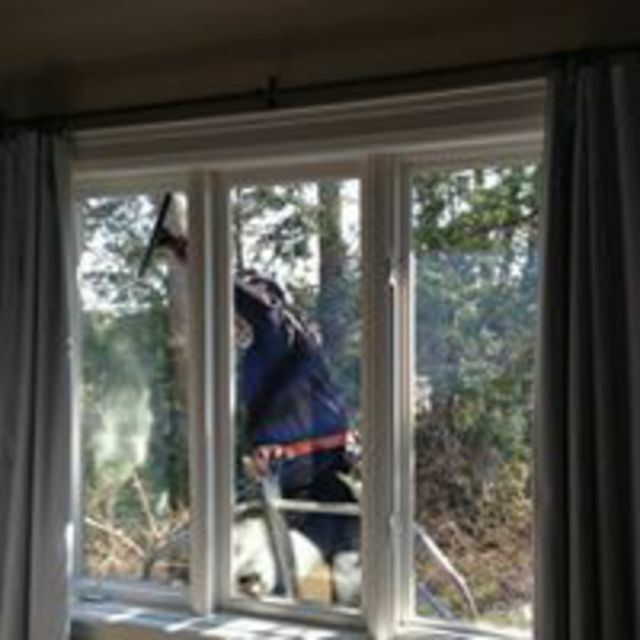 Ben and his team responded to my inquiry, cleaned my eaves and even cleaned my window upstairs as a bird had smashed into my window leaving a lot behind. One of my eaves was loose and they reinforced it for me. They were quick, clean and professional and event took pictures of the finished job. I would recommend them and will use them again. this team was amazing! Ben found time to deal with my Eaves cleaning within 24 hours of my call. he took photos of before and after the cleaning as well (and threw in downspout guards as a gift with purchase to keep everything flowing well). this was the most hassle free service i've received from any contractor of service person since i bought my house! i highly recommend them. Workmanship and customer service were outstanding. It was refreshing to deal with a contractor who is professional, friendly and punctual. I would highly recommended this company. An absolute pleasure to deal with. Kevin of Paneless Perfection really "stepped up" with nothing less than a perfect job. I would highly recommend this company from aspects of both competent workmanship and exceptional integrity. He was punctual, did the job as requested using the quote agreed upon, no surprises! 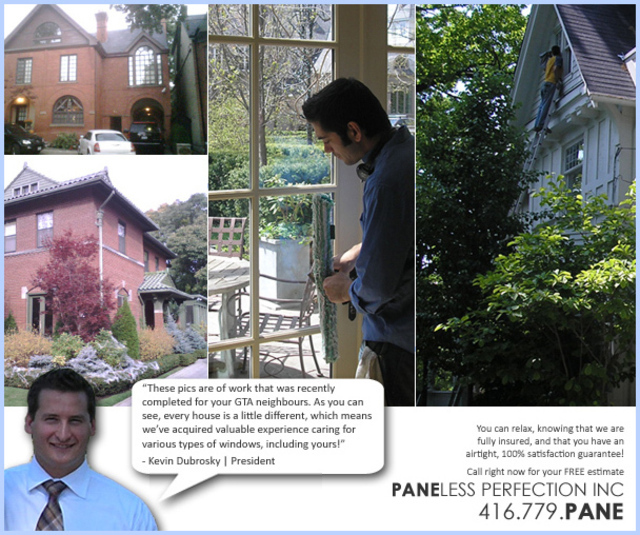 Paneless Perfection Inc. is Toronto's Expert Window Cleaners. 100% satisfaction guarantee. 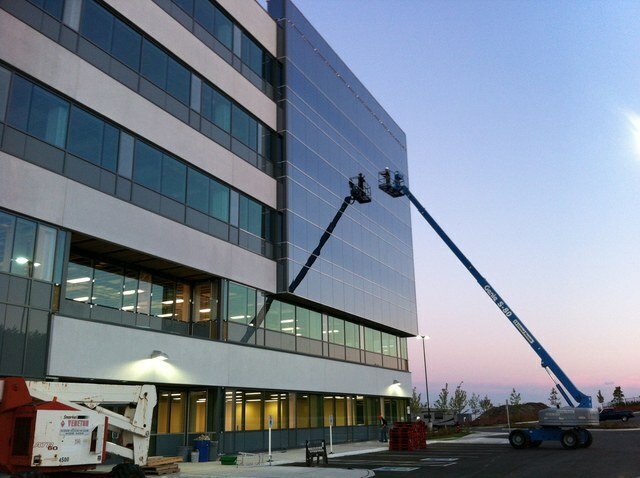 With over 10 years of experience in window & eavestrough cleaning services, and Janitorial cleaning services. We provide workmanship for the residential and commercial markets. 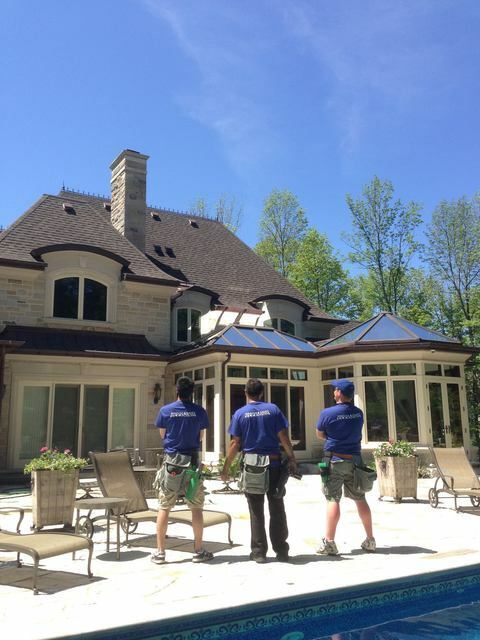 Are you in need of spotless windows, eavestrough maintenance, post-construction window cleaning or professional pressure washing? Look no further! Essential tools needed for Basic Eaves Repair. Large, challenging, difficult access Residential or Commercial.